CASE: Two foreign exchange students walked along Lake Pontchartrain seeking a place to swim. Along most areas of the lake there were “No Swimming or Diving” signs posted, with one exception, a spot at the end of a break water. Not realizing any danger, one of the young plaintiffs dove into the lake striking his head on a submerged boulder and was rendered a quadriplegic. 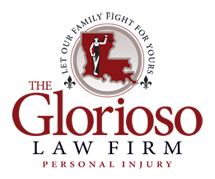 The Glorioso Law Firm took the case that several attorneys rejected and subsequently won a $9.2 million dollar judgment, which was believed to be the largest verdict of a single injured person ever affirmed by the Louisiana Supreme Court.